The set of “Morning Joe” reacted with a mix of admiration and envy to news that Roseanne’s return to television this week had been a ratings monster. 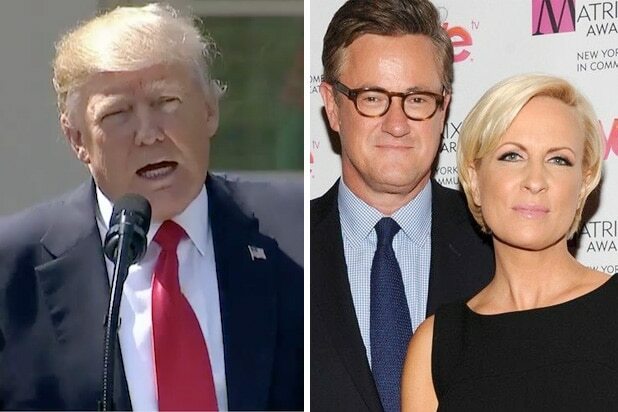 On Thursday co-host Mika Brzezinski channeled her inner Regina George after reporting news that Donald Trump had actually called Roseanne to congratulate her. On the reboot, Roseanne plays an unapologetic Trump voter, with sharp dialogue that reflects the current political mood. Roseanne’s reboot premiere Tuesday evening stunned industry professionals after drawing in more than 18 million viewers. In addition to her character on the show, Roseanne has staked a pro-Trump stance online, becoming something of a cult figure on Twitter in recent months.